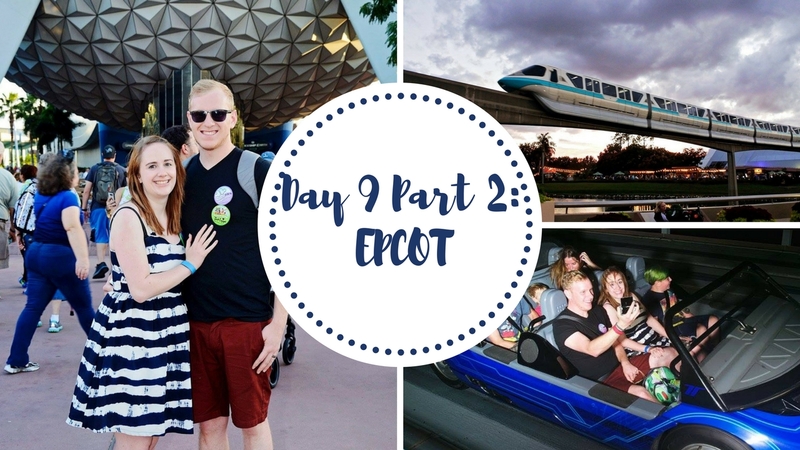 YouTube | Walt Disney World 2016 Vlog #17 - Day 9 Part 2: EPCOT! Catch up on the latest vlog from our YouTube channel - When You Wish Upon A Vlog! This week we're finishing off our day in EPCOT by riding Spaceship Earth and walking multiple times around the World Showcase! Harry's car finally beats Jem's at Test Track and we get a peak at Boys II Men performing! Finally we end the night with the spectacular illuminations! Harry & Jem are a UK couple that love taking trips to Walt Disney World and all things Disney! We've been together for more than 10 years and got married in October 2018 while staying at Disney's Beach Club. We upload new vlogs weekly! Follow us on Twitter for all our updates! *When You Wish Upon a Vlog is a participant in the Amazon Services LLC Associates Program, an affiliate advertising program designed to provide a means for sites to earn advertising fees by advertising and linking to amazon.co.uk.